In de documentaire SCHAPENHELD van Ton van Zantvoort probeert een traditionele herder te overleven in een neo-liberale wereld. Stijn is jong en idealistisch. Hij leeft als een hippie met een uitstervend schapenras. Hij is getrouwd met Anna en is een toegewijde vader van 2 jonge zonen. Stijn is een non-conformist en de beheerders van het landgoed in Brabant willen hem zo snel mogelijk van hun land. 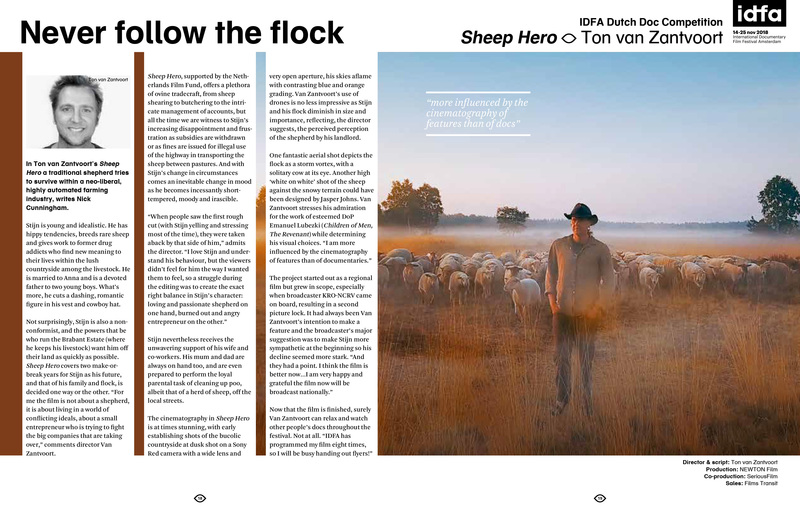 Sheep Hero covers two make-orbreak years for Stijn as his future, and that of his family and flock, is decided one way or the other. “For me the film is not about a shepherd, it is about living in a world of conflicting ideals, about a small entrepreneur who is trying to fight the big companies that are taking over,” comments director Van Zantvoort. Sheep Hero, supported by the Netherlands Film Fund, offers a plethora of ovine tradecraft, from sheep shearing to butchering to the intricate management of accounts, but all the time we are witness to Stijn’s increasing disappointment and frustration as subsidies are withdrawn or as fines are issued for illegal use of the highway in transporting the sheep between pastures. And with Stijn’s change in circumstances comes an inevitable change in mood as he becomes incessantly short-tempered, moody and irascible. “When people saw the first rough cut (with Stijn yelling and stressing most of the time), they were taken aback by that side of him,” admits the director. “I love Stijn and understand his behaviour, but the viewers didn’t feel for him the way I wanted them to feel, so a struggle during the editing was to create the exact right balance in Stijn’s character: loving and passionate shepherd on one hand, burned out and angry entrepreneur on the other.” Stijn nevertheless receives the unwavering support of his wife and co-workers. His mum and dad are always on hand too, and are even prepared to perform the loyal parental task of cleaning up poo, albeit that of a herd of sheep, off the local streets. The cinematography in Sheep Hero is at times stunning, with early establishing shots of the bucolic countryside at dusk shot on a Sony Red camera with a wide lens and very open aperture, his skies aflame with contrasting blue and orange grading. 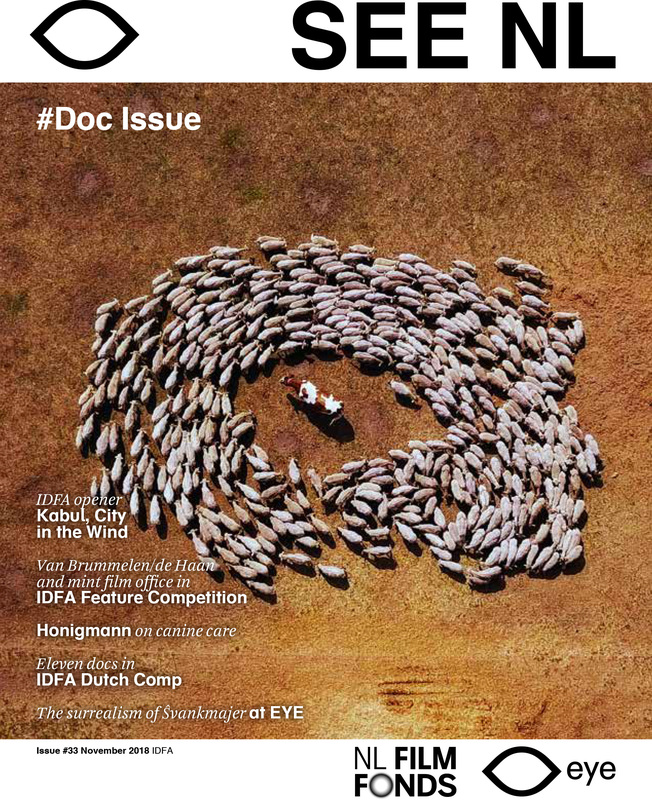 Van Zantvoort’s use of drones is no less impressive as Stijn and his flock diminish in size and importance, reflecting, the director suggests, the perceived perception of the shepherd by his landlord. 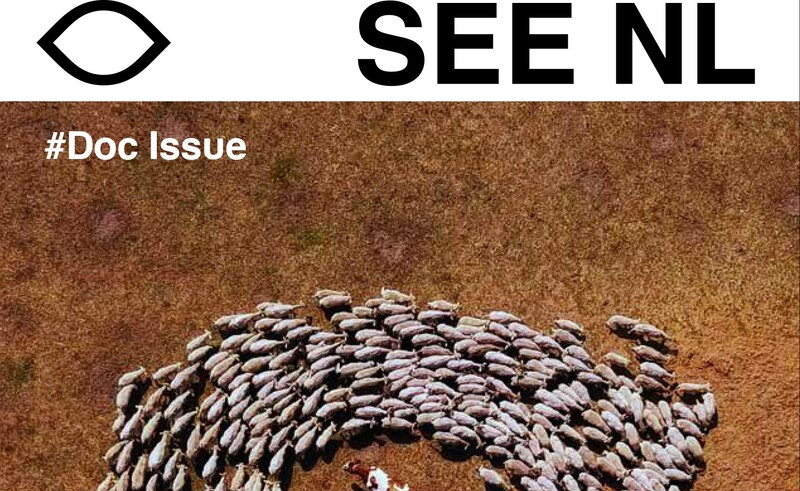 One fantastic aerial shot depicts the flock as a storm vortex, with a solitary cow at its eye. Another high ‘white on white’ shot of the sheep against the snowy terrain could have been designed by Jasper Johns. Van Zantvoort stresses his admiration for the work of esteemed DoP Emanuel Lubezki (Children of Men, The Revenant) while determining his visual choices. “I am more influenced by the cinematography of features than of documentaries.” The project started out as a regional film but grew in scope, especially when broadcaster KRO-NCRV came on board, resulting in a second picture lock. It had always been Van Zantvoort’s intention to make a feature and the broadcaster’s major suggestion was to make Stijn more sympathetic at the beginning so his decline seemed more stark.